Kalaru: Why live in Kalaru? Kalaru is an area gaining in popularity due to a central location between Bega, Tathra and Merimbula. It is a short ten minute drive to the beautiful Tathra Beach and savvy home owners have recognised the proximity to the beach and affordable house prices. 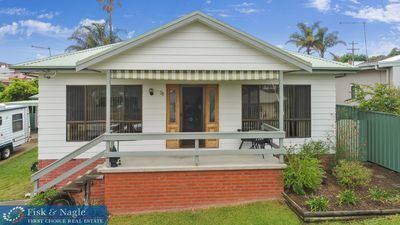 Houses in the central part of Kalaru are a mixture of weatherboard cottages and the sixties and seventies brick and tile homesteads. Areas on the outskirts of Kalaru have been rapidly subdivided in recent years and large modern style houses have been constructed in private bush clad settings or with a more rural outlook. Kalaru has a service station and general store for day to day necessities. Further shops and many excellent cafes are available at Tathra, Merimbula and Bega. The new Woolworths Centre at Tura Beach provides a convenient place for grocery shopping. Kalaru primary aged school children attend the Tathra Public Primary School or the private Catholic, Montessori or Rudolf Steiner schools in Bega. Secondary school aged students attend the Bega Public High School or South Coast Anglican College in Bega or the Lumen Christi Catholic College in Pambula. Full bus services are provided to all colleges. 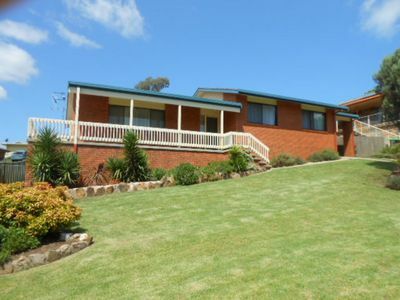 Kalaru is a ten minute drive to Bega, Tathra and Tura Beach. Some bus services to Bega are provided and full services are provided for school aged children. Interstate and local bus services provide daily services to Melbourne, Sydney and Canberra from Bega. The nearest airport is located at Bega which has daily flights in and out of Melbourne and Sydney. The Bega racetrack was relocated to Kalaru and became known as the Sapphire Coast Turf Club. Race days are held regularly at the racetrack which is identified as one of New South Wales most modern race courses. Tathra is located a 5km drive away and is home to some excellent cafes and restaurants. Stafford’s brickworks – The brickworks on the outskirts of Kalaru are a well known Bega area landmark. In the late 19th century William Stafford made bricks on land opposite the present brickyards. Stafford’s remain in the brick business today. The Kalaru Caravan Park is well known by travellers as a park of excellent standards. Kalaru is a small village on the road between Bega and Tathra. In October 1966 Norman Evans submitted the name of “Kallarroo” to the Geographical Names Board for the area lining Tathra Road “from the brickyards to Evans’ Hill and south to Wallagoot Lake Road turnoff.” In March 1967 the name was accepted with the amended spelling of Kalaru. The Aboriginal meaning “roads to water” remained unchanged. So if you are looking for Kalaru Real Estate, why not talk to one of our sales team at Fisk and Nagle.